OK, so I couldn’t help doing some “Takumi Fujiwara” style posing. I had my jacket on because it was really cold that day, so just pretend it’s from the 3rd Stage movie. 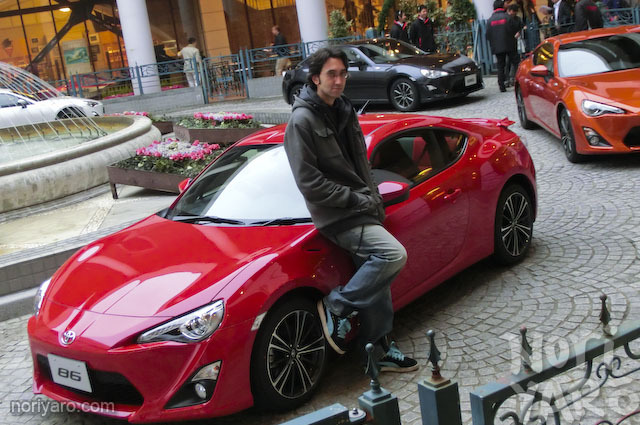 Posing aside, it still wasn’t my turn to take one of the 86s out on the test track, so back inside it was to eat some more complimentary apple pastries and paw all over the display model again. Here’s the variable valve timing hardware. 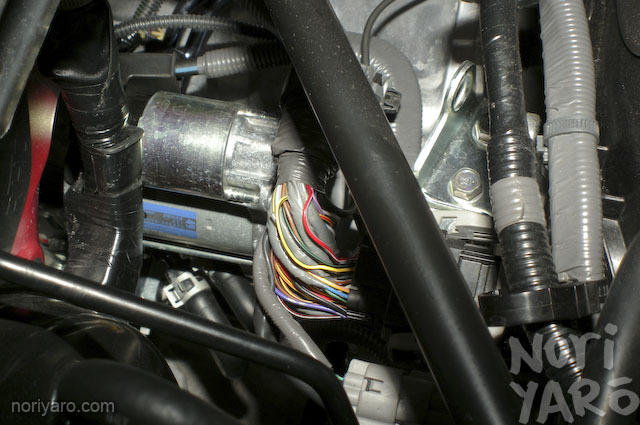 I’m guessing this bit of wiring is messy just because it’s a pre-production model. So that’s the steering wheel, eh? Outside rim, yes! Inside circular bit, not so much! The other problem is that while it has adjustment for height, there’s no reach adjustment! I’d definitely need a decent boss spacer if I was going to drive one all day. I do rather like the all-black interior and the high, vertical design of the dashboard though. The seats feel just like R32 GT-R seats too. One really annoying thing is that there’s nowhere to rest your left arm. There’s a big hole in the console just behind the handbrake. 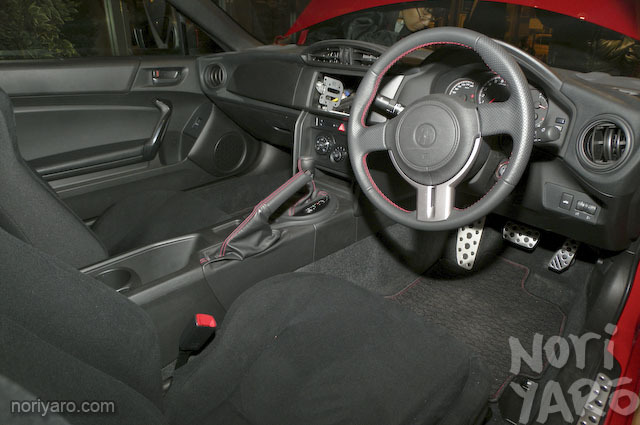 The shifter position is just-right though. Something else worth mentioning here are the 100 PCD wheels. Really? Maybe you’ll be able to swap the hubs for 114.3 GC8 items. The Drift Tengoku crew, who had their drives at about the same time as me, played the “can you actually fit four people in this” game with the display model. This video was playing on some monitors around the room. Come on, isn’t it my turn yet? As you may have noticed by now, the History Garage is done up in a sort of faux “European” theme. This was the test track! 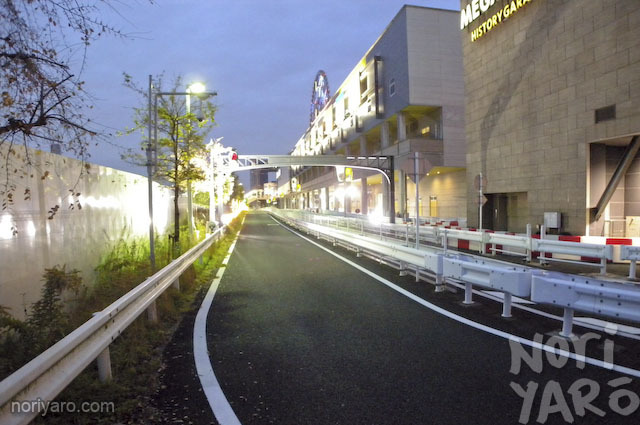 The adjacent Toyota Mega Web uses this road as a track for people who visit the Mega Web, which is basically a gigantic Toyota showroom, to test-drive any of the cars currently on sale from Toyota. For our benefit though, they raised the speed limit to 70km/h and added in some slaloms further down where it widens out. There is also a little windy section down the other end, and traffic lights from which you could test out the acceleration. Finally, my turn! The Toyota chap on the right with the headset on rode along in the passenger’s seat. “Please don’t rev it over 7000rpm.” he said, but I did anyway. He didn’t tell me to slow down though, so I probably should have pushed it a bit harder than I did. Since we were almost last to drive that day, they gave us an extra lap too. The acceleration feel? A little bit more torque would be nice, and the response felt direct but slightly dampened, probably by the electric throttle body. 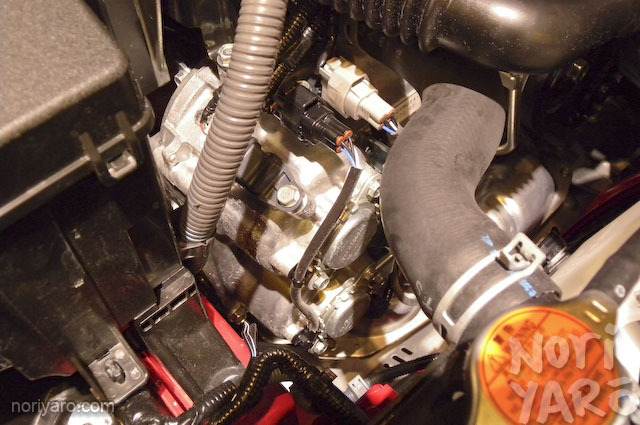 The gearbox (six-speed based on the Altezza, from what I heard, connected to a tough Lexus differential) was fun and easy to shift quickly. Just to try it out, I gave it a couple of heel and toe downshifts, and the engine makes that satisfying NA “chwump” sound when you blip the accelerator. Even though I only had it for a few minutes, it felt light and, I apologise for sounding like a car review mangazine here, chuckable. It didn’t feel burdened with that unnecessarily heavy feeling that a lot of newer cars seem to have. Also, and I don’t mean this in a bad way, it was nice to finally drive a new small car that didn’t have that heavy, self-centering steering that most similarly-sized FF cars have. I really, really would like to try it out for an entire day though. Maybe next year sometime? Maybe a slightly modified one? As a little footnote, here’s a shot from inside the Venusfort shopping center building where the History Garage is. 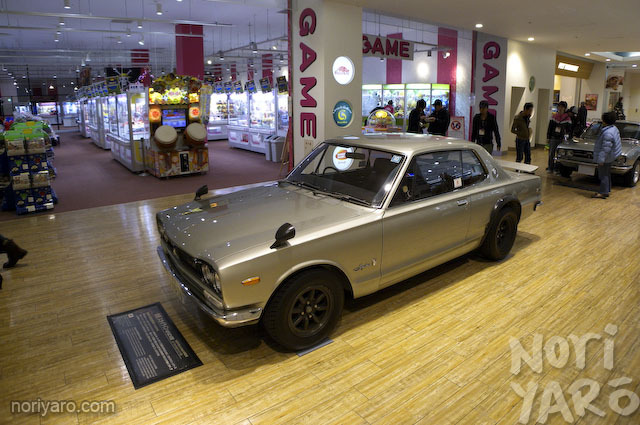 Want to play Taiko No Tatsujin with a Hakosuka behind you? Only in Japan! 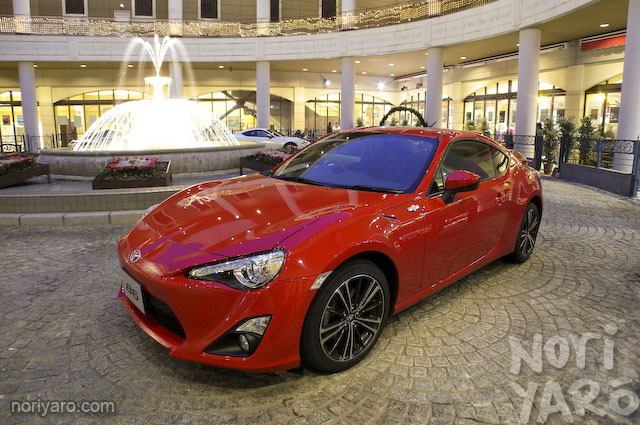 Is the new 86 FF ???? Please say Its FR configuration!! seriously youre pretty lucky , cant wait to try one in canada … the wait is gonna be long … btw , you said it sounded like a 4AGE , is it like a 16v or a 20v one ? So, did you make some new contacts with the tuners in attendance? You know, for future mods on the MkII. Im so glad that Toyota made this car. The future for drifters, racers, modifiers, and car lovers is looking better. I hope it starts a trend for other car makers to build affordable RWD sports cars. 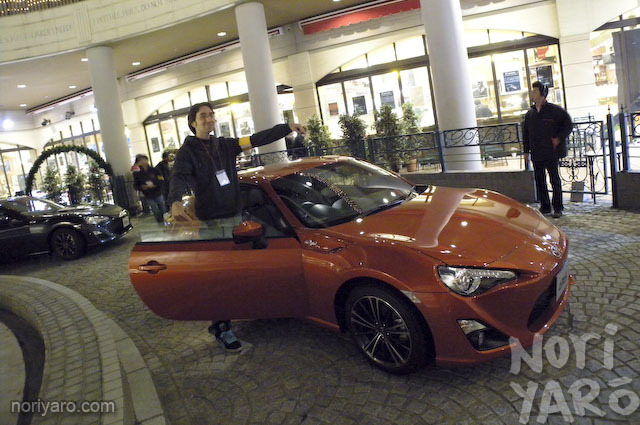 It will be great to see what the modifiers will do with it and I can’t wait to see the first drift video’s that will probably be on youtube within a few hours of the 86 being sold in Japan. Nice work Toyota ! and great write up Alexi. Keep them coming ! My girlfriend tore me a new one at Taiko no Tatsujin recently…dem high school girls have skillz! Thanks for the great write up Alexi! Awesome posts alexi. U r one lucky kid. You are verry lucky to drive this car ! It will take some time before I will even see the car here in Bulgaria ; ( We have like 5 old AE86 in the whole country . I would be glad to come to Japan !!!!! Nice blog !